So another week has passed and another batch of comics has been released! Let's get right to it, shall we? 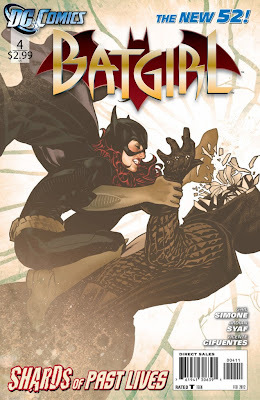 Batgirl #4 - Batgirl was one of those comics that started a little weak but quickly became quite good. Issue 4 has wrapped up the story of "Mirror", a serial killer with a remarkably cool costume and slightly less cool M.O. of killing people he believes miraculously survived incidents where they should have died. Fixing God's mistakes, I believe he calls it. 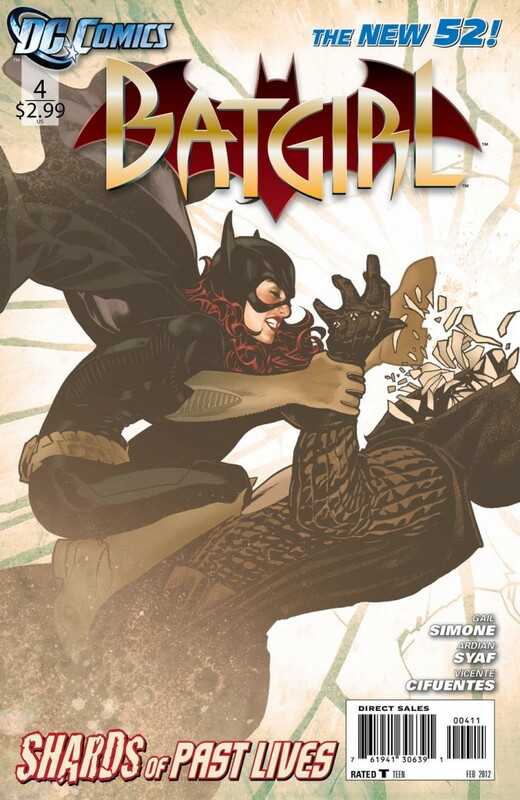 In any case, he's been leading Batgirl through the wringer for the last few issues and she finally confronts him in this issue. We also get to delve a lot more deeply into Barbara's feelings about being able to walk again, as well as her family and her insecurities, with the help of her new roommate. All in all, a strong issue, almost as good as #3. My only complaint is that it seemed slightly anti-climactic since issue #3 was SOOO good. Still, my favourite comic this week! Good work Gordon Barbara Gordon! See what other comics I've bought this week after the jump! 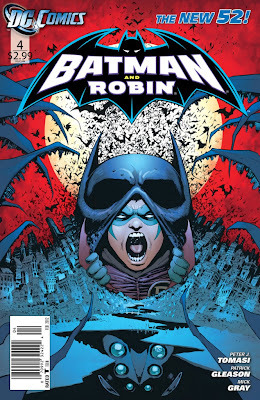 Batman and Robin #4 - Damien "Robin" Wayne, son of Bruce and Talia, is quite the little bag of psychosis, isn't he? This whole series and the whole idea of Damien are interesting to me. I came into Batman comic books around the death of Jason Todd and the installation of Tim Drake as Robin. In those days, Batman was VERY grim and morbid, and Robin was the "lighter side" that kept him from going over the edge into madness and hmm....excessive force? Anyway, these days it's the other way around, as Bruce has to try to explain to his son how to be a hero without being a murderer. I think it's a great premise and makes an interesting read. They also got a dog which I love. 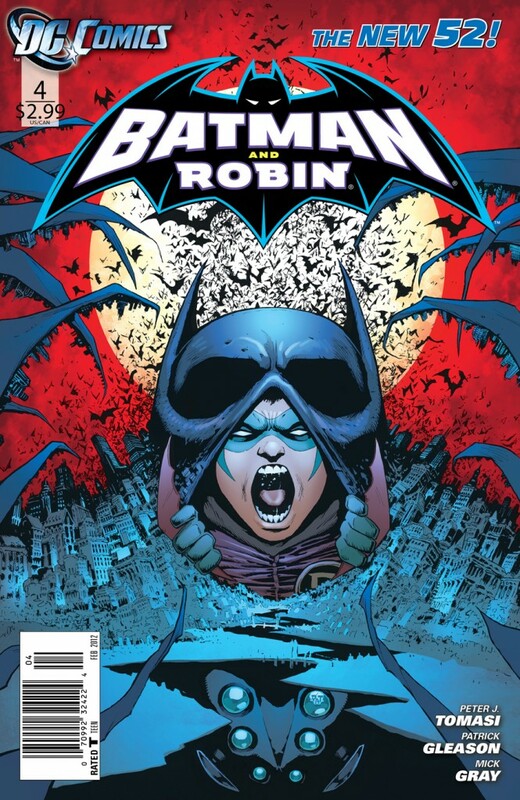 In this issue, a threat from Bruce's past has them at his mercy and Robin has some choices to make. Also, Alfred continues to be concerned. Why doesn't anyone listen to poor Alfred??? Green Lantern #4 – Hal Jordan is my least favourite member of the Justice League. It used to be Aquaman, but since the new 52 started, Green Lantern has done nothing but be either a whiney irritant or a complete jackass. It’s very entertaining in Justice League because Batman keeps putting Lantern in his place, but in Hal’s signature title, it’s starting to wear thin. 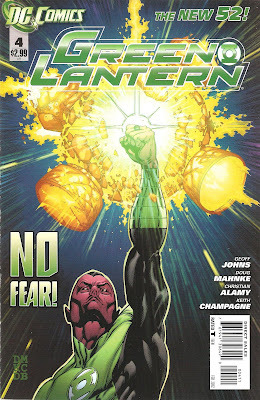 Luckily, this is part 4 of a story whose main character is not really Hal, but Sinestro! Talk about an interesting character. Sinestro, since issue #1, has been a Green Lantern again, and is trying to free his planet from the tyranny that he himself is responsible for. For some reason, he felt the need to bring Hal Jordan along. To each their own, I guess! The story and art in this issue are good, but it is issue 4 of what I am guessing is at LEAST a 6 part story. Not much to say about it. I think once the story is complete, it’ll be great to read, but it’s not doing much for me as a serial. 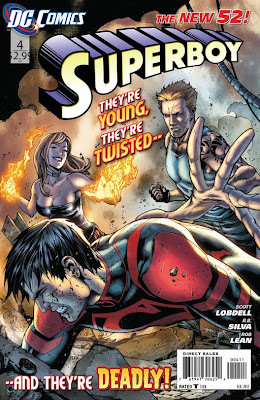 Superboy #4 – Another title that I was right on the verge of dropping, Superboy has suddenly become interesting this month! 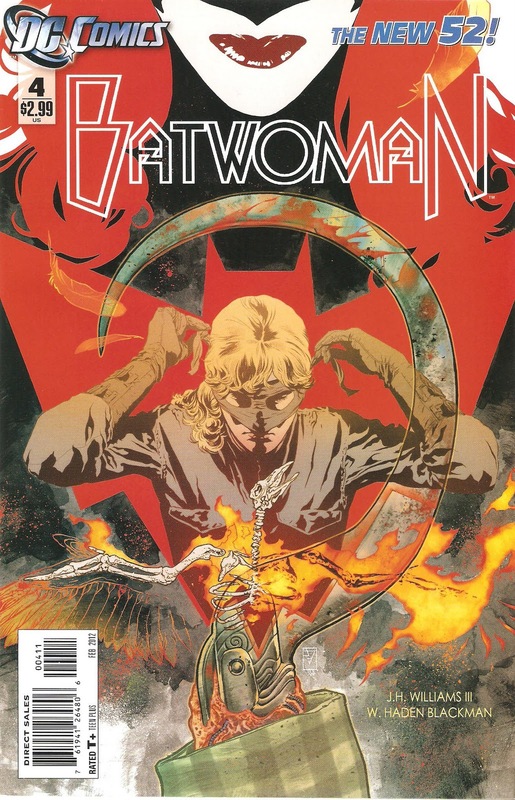 The first three issues were all origin and establishing character. Important, but not entirely riveting. Suddenly, things are happening to Superboy!! His mentor has been revealed to have her own secret origin, he’s encountering advanced ideas of ethics and behavior, and most importantly, he is FINALLY free of a laboratory setting. It took them a while but it’s worth it. 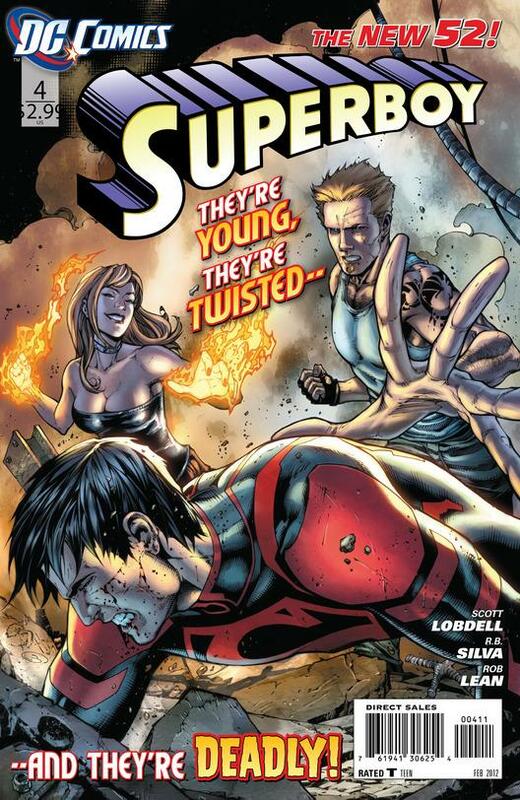 For the first time Superboy is worth reading for itself, and not as an appendix to Teen Titans. Good work clone boy! That’s it for now! Stay tuned next week for more adventures in the DC universe!! It promises to be a big week with Batman, Wonder Woman, Justice League and more!! !